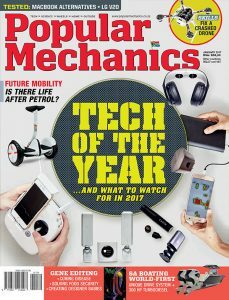 In December 2016 EWIZZ was interviewed by Lumke Nofemele from Popular Mechanics. 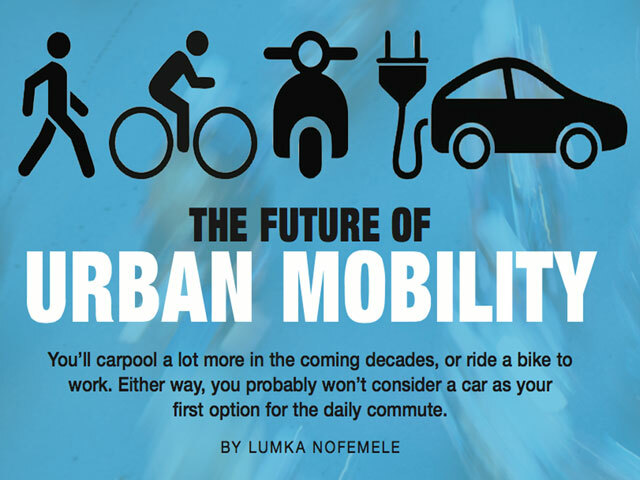 Lumke was looking for inspiring stories for her January edition article on “The future of urban mobility” and came to see the latest EWIZZ clean urban mobility technology. Here’s an extract from her article. The full article is available in the January edition of Popular mechanics and a PDF of the article is available below. “I need a car,” I grumble as I reluctantly rise to start the daily ritual of preparing to catch my morning train or bus to get to work. 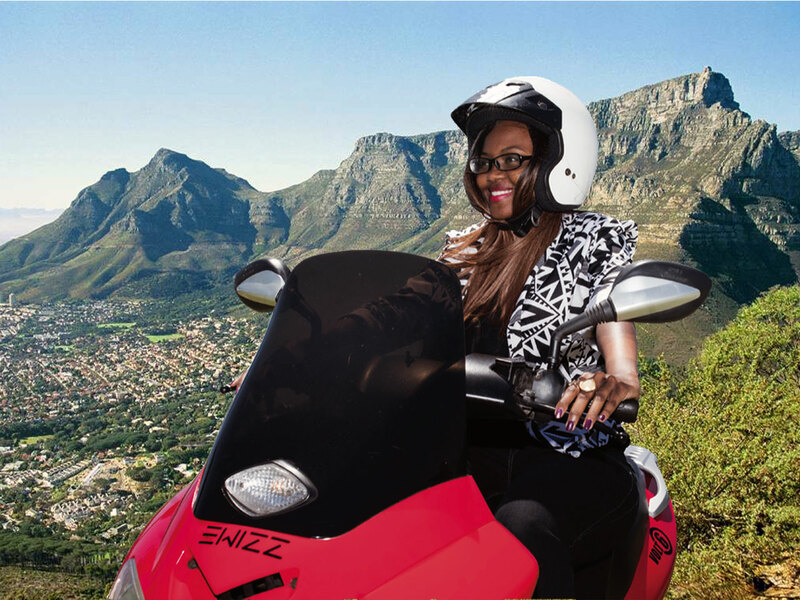 Sometimes, when the public transport system fails me, I take a cab. And then I find myself stuck in endless traffic, watching bikes, taxis and even what I’m pretty sure was a modern day horse and cart pass me by. After paying for my ride, I am left reconsidering whether I want or need a car at all. I am not the only person with these ambivalent feelings towards motor vehicles. 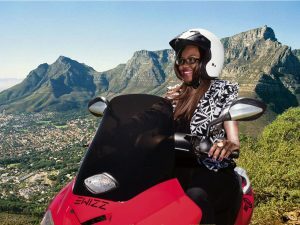 I discovered at the Mobility Indaba in Cape Town towards the end of 2016 that, to move forward, we might need to move back – to a society with fewer cars on our roads. POPULAR MECHANICS investigates the alternatives. 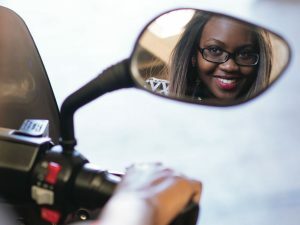 Rising petrol prices, insurance and maintenance costs, hours spent in traffic and environmental issues have all turned the car into an enemy of efficiency and led big business and government to start thinking of other options for commuters. “Investment in transport infrastructure over the past 40 years has focused on the development and expansion of the road network for general traffic and policies have encouraged the widespread and unconstrained use of private cars,” says Richard Gordge, CEO of Transport Futures. Transport Futures is an independent consulting company specialising in providing planning, management and strategy support to the public transport sector. Gordge identifies twin threats that represent a very inefficient and hugely costly status quo for mobility: increasing levels of car ownership along with very low vehicle occupancies.